Are you thinking about replacing the lackluster stock speakers in your vehicle? A solid pair of 6.5 speakers can take your music from drab to dramatic. Still, with hundreds of speakers on the market, it can be difficult to hone in on just one. To help you out, we’ve chosen 10 best 6.5 speakers to review. Not only that, but we’ve brought you the answers to all the most frequently asked questions. Please note: if a quality set of component speakers is what you’re after, be sure to check out our component speaker buying guide here. What is the Best 6.5 Speakers in April 2019? What’s the difference between coaxial and component speakers? What 6.5 speakers are best for bass? What materials are best materials for car stereo systems? Do speakers ever sport specialty features? Why does a speaker’s durability matter? The Kicker 240-watt two-way coaxial car speakers offer a huge improvement in sound quality with factory radio without an amp at a reasonable price. The sound is crisp and well-balanced thanks to the 6 1/2-inch polypropylene woofers and PEI domed tweeters. Not to mention, the speakers have a slim profile that fits well in nearly any vehicle. The speakers have a 90-decibel sensitivity and a frequency range between 40 and 20,000 hertz. What’s more, they have an impedance of 4 ohms and a power range up to 60 watts RMS. On top of that, the speakers come with modern grilles and included new screws, clips and wire connectors. Overall, these 6 1/2-inch beasts are a great replacement option for muffled factory-installed speakers. The Infinity REF-6522EX shallow mount speakers are great for replacing worn factory 6 1/2-inch speakers. These impressive noisemakers boast polypropylene woofer cones with hi-roll rubber surrounds. Not to mention, they feature 1-inch edge-driven textile dome tweeters with two different types of mounting brackets. The speakers have a power handling of 55 watts of average power and 164 watts of peak power. The speakers’ cones are separate from the tweeters and magnets, making for crystal-clear audio. The bass has a solid punch too. The speakers are incredibly easy to install and have a slim profile to fit the small door. These speakers can handle both low and high volume levels with stock stereo systems. As such, they are a great one-and-done audio improvement for vehicle owners on a tight budget. 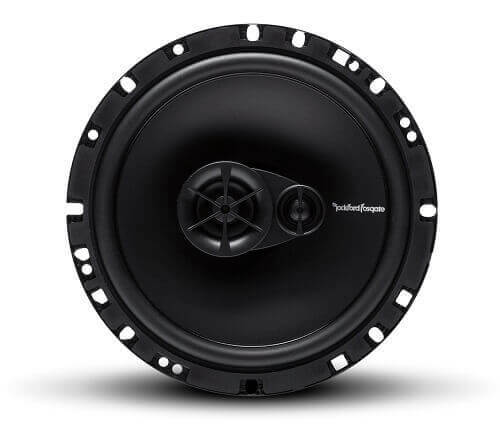 Rockfort Fosgate is a popular manufacturer of vehicle audio components. Their PPS4-6 6 1.2-inch midrange car loudspeakers offer superior sound quality during for your daily commute. The speakers boast 400 watts of max power per pair. Not to mention, they feature a 4-ohm nominal impedance. The speakers have oversized motors with high-temperature voice coils and fiber-reinforced paper cones. They also feature corrugated treated cloth surrounds that dramatically cut down on the level of audible distortion. The Rockford Fosgate speakers are sold in pairs but you can buy a single speaker. They come with universal mounting hardware and attractive grills. They work well when paired with a stock sound system but really shine when you give them some power from amp. Overall, these speakers are capable of generating quality midrange sound when you have bass from your sub and highs from your tweeters. 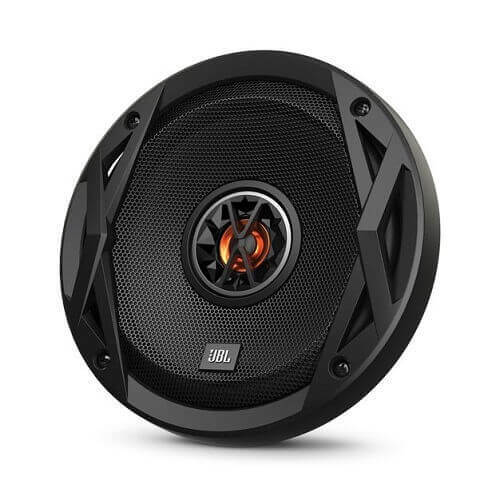 The JBL CLUB6520 two-way coaxial speakers are made with incredibly durable UV-resistant polypropylene Plus One woofers. These woofers are engineered to handle constant vehicle vibrations. What’s more, these speakers have PEI balanced dome tweeters for well-balanced high notes. On top of that, they have a frequency response that ranges from 55 to 20,000 hertz. The JBL 6 1/2-inch speakers don’t have an overwhelming amount of power. In fact, their peak power is capped at around 150 watts. Still, they are easy to install and boast attractive black grilles with JBL’s signature red accents. As such, these speakers look amazing in nearly any vehicle. The JBL speakers can be hooked directly into your car radio. Otherwise, you can install them alongside an aftermarket amp. 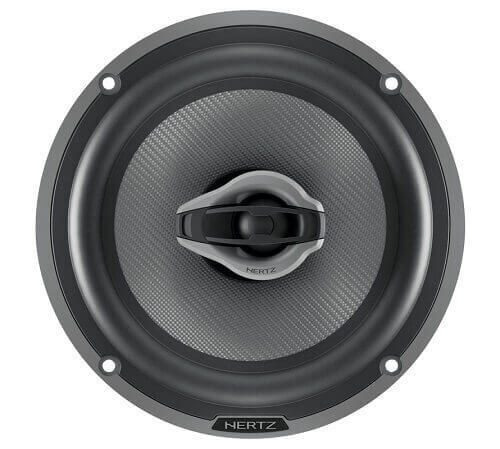 The Hertz HCX165 high-energy two-way coaxial speakers boast oversized magnets and pure copper voice coils for perfection-geared high-notes. They also feature a damped mesh fiber cone with aerodynamic gaskets that help to eliminate any unwanted distortion. On top of that, the speakers feature rotary high-frequency contours that enable listeners to tilt the tweeters toward them. This last feature makes for a trouble-free installation and an impressive user experience. The Hertz speakers feature one of the most sophisticated designs we’ve come across. For one, the speakers feature soft iron plates and radial vents for improved heat dissipation. On top of that, the speakers have well-engineered cones for smoother feedback and extended bandwidth. Topping things off, the Hertz speakers have a streamlined design that looks great in nearly any vehicle. The Rockfort Fosgate R1655X3s are a pair of full-range three-way coaxial 6.5 speakers that offer affordable and well-balanced audio improvements. The speakers boast vacuumed polypropylene cones with silk dome pole-mounted piezo tweeters and dynamic midranges. The midranges are mounted at a depth of 2.15-inches. These speakers also have a 6-decibel integrated speaker crossover for full-range audio. 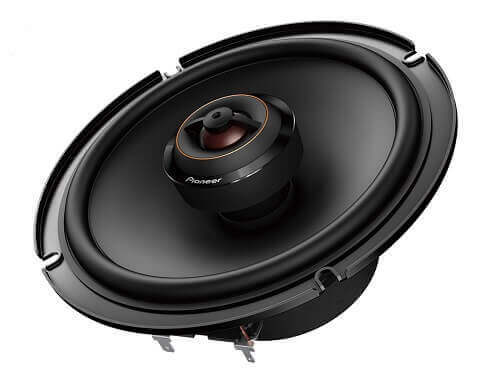 The Fosgate three-ways have a nominal impedance of around 4 ohms. Meanwhile, they have a frequency response that ranges between 52 and 20,000 hertz. On top of that, they have an RMS power handling of 45 watts. Not to mention, the speakers come with attractive grilles and trim rings. 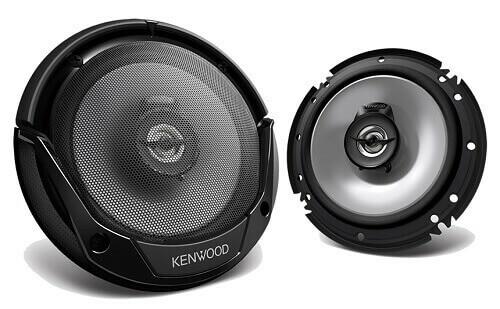 Kenwood KFC-1665S are 6 1.2-inch Sports Series two-way flush mount car speakers with incredible audio capabilities. These speakers have a collective peak power handle of around 300 watts and an RMS power rating of 30 watts. The speakers have a frequency response that ranges from 35 to 22,000 hertz and a nominal impedance of 4 ohms. On top of that, they boast polypropylene woofers with treated cloth surrounds and 1-inch balanced dome tweeters. What’s more, they have a sensitivity of around 92 decibels. The Kenwood speakers are one of the few car audio parts that are actually designed to stand up against repeated abuse. They have durable metal grilles and multiple speed clips. Not to mention, they come with wires and self-tapping screws. We found these speakers to be surprisingly affordable and easy to install. While factory-installed radios don’t always bring out their best qualities, they are solid OEM replacements. 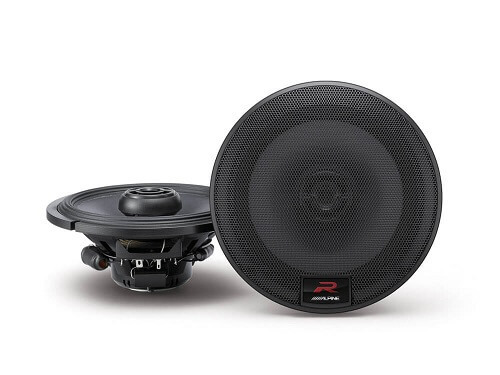 There’s a lot to love about the Alpine R-Series 6 1/2-inch coaxial speakers. For one, they feature hybrid fiber woofers with multi-roll rubber surrounds. Together, these elements produce a clean punchy bass with minimal distortion. On top of that, these speakers have ultra-responsive 1-inch silk tweeters that produce crystal-clear highs. These speakers utilize up to 100 watts of power, enabling extreme sound when you want it most. They are a superb upgrade for stock stereo systems. After all, they produce clean crisp highs and vibrant lows for a full spectrum of sound. These speakers mount easily and are not susceptible to regular vehicle vibrations. The Polk DB652 Ultramarine Dynamic Balance Coaxial Speakers are well-balanced marine-certified (IP55) devices. They boast polypropylene UV-resistant cones with resilient waterproof surrounds. Besides their water-resistant barrier, these speakers have incredible sensitivity and a superb frequency response. Not to mention, they have a 100-watt continuous power handling and a 300-watt peak power handling. The speakers even come with sporty geometric grilles. The Polk speakers sound great while putting up a guard against destructive natural elements. While some users felt these speakers were expensive, we’re confident that their worthy of a small investment. 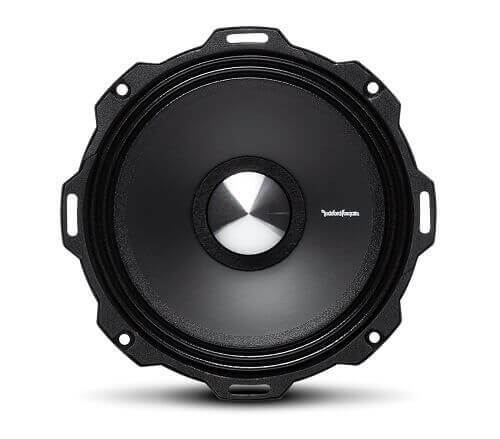 They are a popular replacement for RV and sports vehicle OEM speakers. Keep in mind that you may need to purchase aftermarket adapter rings in order to fit them with your factory grills. 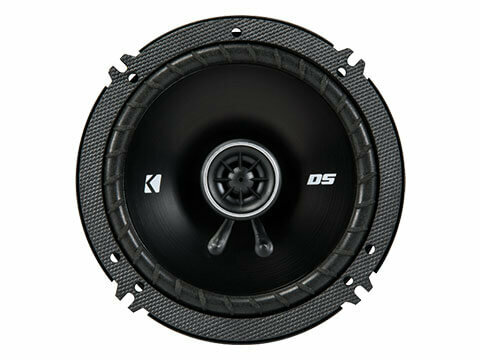 The Pioneer TS-D65F D Series car speakers are bargain-rate replacements for your OEM speakers. They boast impressive injection-molded polypropylene woofer cones with aramid fibers for a booming bass. What’s more, these speakers feature coated textile dome tweeters for an excellent high-frequency response. The pair can handle up to 90 watts of RMS power and 270 watts of peak power. Not to mention, they have a frequency that ranges from 32 to 49,000 hertz. These speakers boast a top-mount depth of 2 5/8-inches and a nominal impedance of 4 ohms. Keep in mind that these speakers do not come with grilles. As such, you will need to utilize your stock grilles or purchase aftermarket alternatives. On top of that, the kit omits installation wires. On the other hand, they come with eight 3.4-inch screws for easy mounting. With that said, these speakers may be a bit too complicated for a newbie to install. Are you unsure about replacing your stock speakers? Quality aftermarket audio parts offer superior sound quality. Since vehicle manufacturers are often focused on the performance and safety features of a car, vehicle audio components are typically cast aside. Fortunately, you can purchase sophisticated aftermarket parts that consist of high-quality sound-producing elements, including as tweeters, woofers, midrange, and crossovers. These speakers are capable of working alongside your stock radio or other aftermarket stero parts in order to create crisp highs and punchy lows. Coaxial speakers are full-range speakers. They combine mid-range woofers and tweeters to produce a full spectrum of sound. Most coaxial speakers feature an integrated crossover that helps separate highs and lows. The main advantage of this type of speaker is that all of the components are housed together, making them perfect for squeezing into a car door. On the other hand, component speakers consist of separate woofers, tweeters, and crossovers. A large external crossover makes it possible to create more defined highs and lows. However, it is more difficult to install this type of speaker. 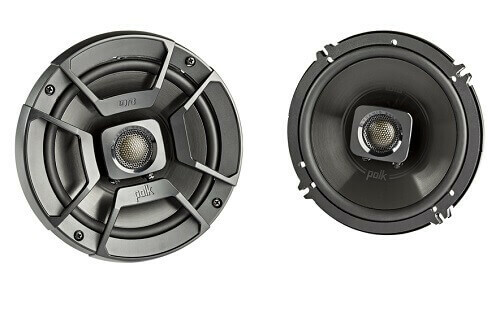 Check out this informative YouTube video for a more detailed look at the differences between coaxial and component car speakers. If you’re confident in your ability to install car audio parts and you have plenty of money to spend, you can’t go wrong with a high-quality component speaker set. If so, be sure to check out our component speaker buying guide. One of the major differences between speakers is their power ratings. 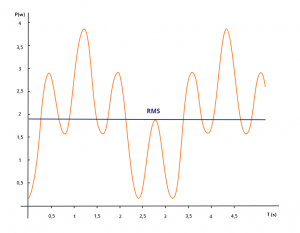 With that said, most manufacturers provide customers with both RMS (root mean square) and max power ratings. An RMS, or continuous power rating is what a speaker consistently uses during its performance. Keep in mind that speakers with low RMS ratings pair well with low-powered factory-installed radios. Whereas, speakers with high RMS ratings work best with high-powered aftermarket amps. Do your best to find speakers that are compatible with your receiver or amp, as an attempt to pull too much power can damage these components. Keep in mind that it is always better to overpower rather than underpower your speakers. Speakers also tend to be labeled with a peak power rating. This rating applies to the maximum amount of power that can be used during a short period of time. This amount of power can be safely used without causing any damage to the speakers. Of course, this number is not representative of how much power is required. Even the best 6.5-inch speakers are going to struggle to put out a lot of bass. Deep bass doesn’t come without a good subwoofer. 6.5 speaker is not designed to produce good bass but for midranges or midbass. A speaker’s sensitivity rating paints a picture of how easily power is converted into sound. Speaker sensitivity is a measurement of the number of watts produced at a 1-meter distance. For example, a speaker with a sensitivity of 80 watts produces that amount of volume 1 meter away from the unit. Speakers consist of several different parts that work together to produce high-quality sound. A speaker’s woofers are made from thin, yet stiff materials, such as polypropylene. They are often reinforced with metal thread and other resilient materials. Meanwhile, tweeters are made from incredibly soft materials, including silks, metals, and ceramics. In addition, speakers typically feature surrounds. These parts are made from pliable materials, such as rubber and cloth. Tweeter Silk, polyurethane for mellow sound. Metal, ceramics and graphite for brighter highs. Woofer Polypropylene best for bass. Woven fabrics or metal coated synthetics also be used. Surround Materials The best material is rubber. Foam and cloth surrounds are less expensive. Audio part manufacturers are constantly adding unqiue features to help their speakers stand out. These features include pivoting tweeters, designer grills, and integrated controls. While elements like these can definitely improve a speaker, the core components should never be ignored. Car speakers are installed directly into car doors. As such, they often come in contact with rain, mud, and snow. What’s more, they are constantly at odds with vehicle vibrations. These conditions are often worse in off-road and all-terrain vehicles. To help eliminate durability issues, manufacturers have developed water- and dust-resistant speakers. These speakers are typically marine certified or boast high a Ingress Protection (IP) rating. Keep in mind that an IP rating of 61 protects a speaker from minimal condensation, whereas an IP rating of 64 protects from water spray coming from every possible direction. Quality 6.5 speakers serve as a major upgrade to factory-installed audio components. Whether you pair them with a stock stereo or an aftermarket amp, these impressive all-in-one speakers offer a full spectrum of impressive sound. Check out our top speaker selections or use our comprehensive buying guide to find a speaker set of your own.